For enthusiasts wanting to go beyond the delight of a daily commute in their Citroen DS3 hatch, the iconic French carmaker offers the perfect solution – the DS3 R1, R3-Max and R5 customer racing programs. Designed to promote easier access to motorsport for all, Citroen’s arsenal of competition versions of the road-going DS3 are very much the real deal and the most fun you can have behind the wheel of a Citroen DS3 without attracting the attention of the Gendarmes – at least in this part of the world. 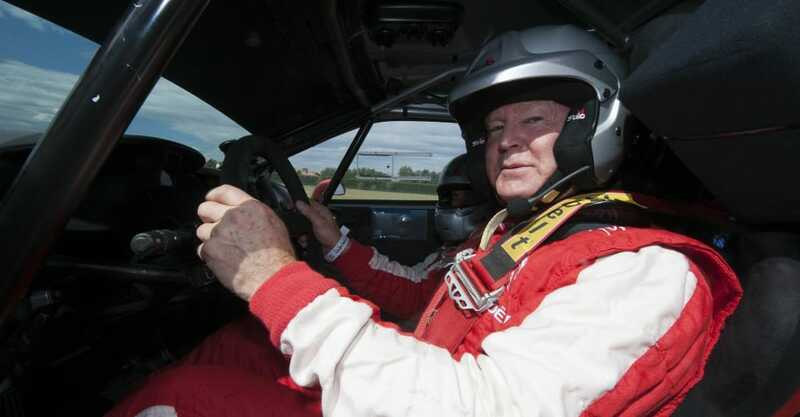 So it goes without saying that when the opportunity arose for CarAdvice to pilot all three DS3-based racers at the Circuits d’Issoire in the south of France, naturally, we jumped at the offer. The Citroen Racing Experience also gave us the opportunity for a first Aussie drive in the 2015 Citroen C4 Picasso over the 1000 kilometre round trip from Paris. Apart from the complete and utter chaos that confronts drivers that dare to take on rival motorists around the Arch de Triumph (there are no rules or lanes, it’s every driver for himself), France’s 130km/h speed limit on its motorways ensures a relatively quick and easy run down to Clermont-Ferrand, in the Auvergne region of France, where you’ll find the race circuit and interestingly, the headquarters of well-known French tyre manufacturer, Michelin. 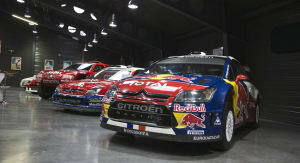 The event also offered the lucky attendees a rare opportunity to see French rally legend, Sebastian Loeb, whose career includes a staggering nine consecutive WRC titles, putting his Citroen C-Elysee WTCC (World Touring Car Championship) car through it’s paces. 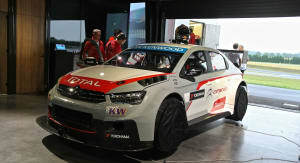 The fact that Loeb only recently swapped his WRC car, for a full-blown world touring car, is a remarkable feat in itself, because the WTCC and the WRC, after all, are as different as the 100-metre sprint and the Marathon. 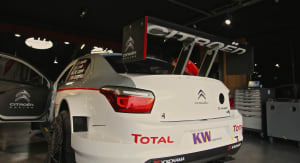 Like in WRC, Citroen’s WTCC entry takes a mass-produced car and adapts a 1.6-litre four-cylinder direct-injection turbo engine and a manual six-speed sequential gearbox; only this combination delivers 283kW of power and 400Nm of torque to all four wheels. 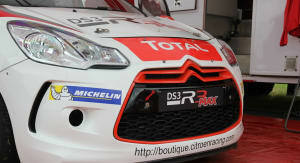 As the entry-level car in Citroen’s customer racing program, the DS3 R1 makes use of the front-wheel drive euro-spec DS3 So Chic VTi-120 production model, especially its normally aspirated 1.6VTi direct injection engine, the result of a collaboration between PSA Peugeot Citroen and the BMW Group. The engine is mated with a standard, five-speed manual gearbox, but with shorter torque settings. 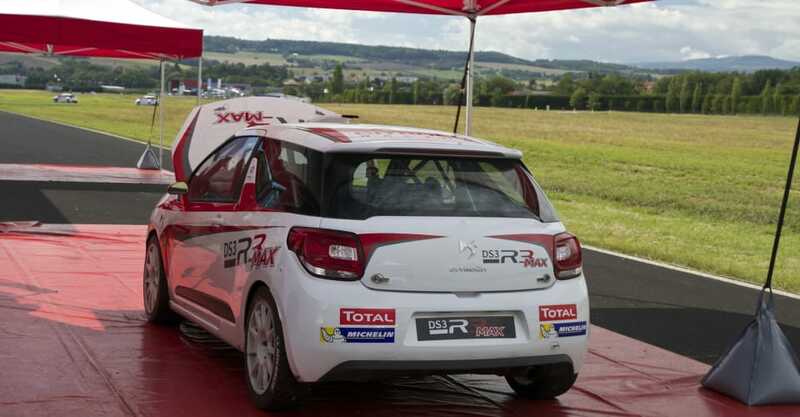 All of the components used on the chassis and suspension systems are also lifted straight from the production model except for the shock absorbers, which are developed by Citroen racing. 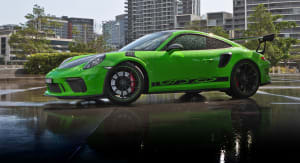 The brakes have also been improved by using racing brake pads and fluid, while the one-piece wheels are fitted with Michelin Pilot Sport R tyres for maximum grip. While 94kW and 165Nm might seem a tad light-on for a proper tarmac racer, make no mistake, the DS3 R1 will put a smile on your dial from the moment you climb through the FIA-approved roll cage and strap into the four-point racing harness. The whole car tips the scales at just 1180 kilos, so even a light dab of the throttle produces significantly more go than its road-going sibling. It sounds the business, too, a result of its stripped-out interior and total absence of any noise insulation. There’s plenty of grip from the Michelin racing rubber, and the steering is nice and pointy without being heavy, so the car is able to carry plenty of speed, even in the slower parts of the track. The good news is that the DS3 R1 isn’t at all intimidating. 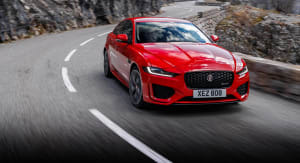 It strikes a nice balance between outright acceleration and handling, meaning, you can drive it hard with all the confidence in the world, and it’s not going to cause you any major grief. 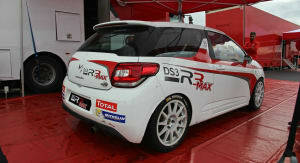 But for those drivers looking to up the pace and get more serious with their motorsport, the DS3 R3-Max is the pick of the bunch. It’s the next rung up on the customer-racing ladder, and despite near identical looks to its R1 baby brother, it packs significantly more potent hardware under the bonnet. 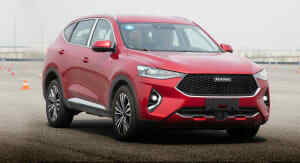 For this specification, there’s a 1.6-litre direct-injection turbo engine that’s had its power raised to 175kW, while torque now peaks at 430Nm. This thing is properly quick, not a handful, mind, just a lot more acceleration on tap, meaning, you’ll need to stand on the brakes a lot more than when driving the R1. Inside, the DS3 R3-Max’s cockpit is all business. There’s a proper hydraulic handbrake operated by a bright-yellow lever, while the transmission is a six-speed sequential system using a single (but monster size) paddleshifter mounted on the steering wheel. It takes some getting used to, but once mastered, there’s nothing better. There’s still a clutch pedal present, but it’s only used to engage first to drive off, or when pulling up in the pits – far more difficult than it sounds, and a task often fudged by professional racing drivers. Once you’ve mastered the getaway, though, you can bang through all six forward ratios like a real pro. It’s hugely satisfying (intoxicating, even) when you’re flatfooting down the straightaways, while punching out those rapid-fire upshifts, and perfectly synchronised throttle blipping on the downshifts. 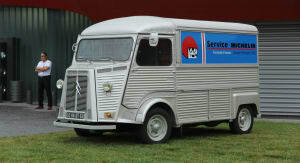 From the outset, Citroen focused its efforts on passive safety and chassis rigidity with the R3-Max. The standard monocoque chassis has been re-welded and fitted with a multipoint roll cage. Weight distribution has also been improved, too, by relocating the battery and fire extinguisher behind the seats. There’s also a steel skidplate that not only helps protect the engine during gravel rallies, but also lowers the car’s centre of gravity. The R3-Max also a gets a beefed-up suspension system with tubular wishbones fitted up front and the axle is both lighter and stronger than the production model. The shock absorbers also boast several innovative features; the aluminium struts are lubricated in an oil bath, which improved consistency and reliability of the suspension. This is a very, very, easy racer to push hard, perhaps the user-friendliest car we’ve had the pleasure of piloting. 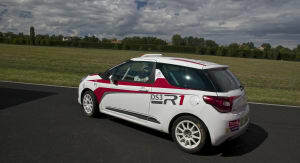 The top-shelf DS3 R5 is an altogether different kettle of fish, with a more aggressive body kit, four-wheel drive and even more power than the R3 car. 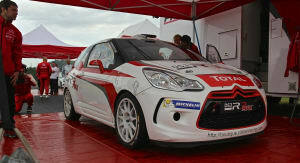 The R5 category has also replaced the Super 2000 and Regional Rally Cars. 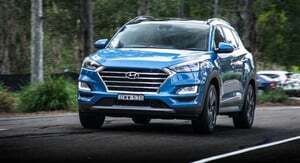 Its 1.6-litre direct-injection turbo engine has been reworked within the limits of the regulations. Power is by 34kW to 209k, thanks to a boost pressure increase of 2.5 bar. All the controls seem sharper, though our particular car has clearly been set up to show off the drifting skills of FIA Junior WRC driver, Martin Koci from the Czech Republic, who wastes no time in shoving pulling that hydraulic handbrake lever and putting the car sideways at every possible opportunity before I finally get my shot behind the wheel. The transmission is a five-speed sequential gearbox with limited-slip front and rear differentials. Again, you need to use the manual clutch to move the car off from a standing start, only this time, there’s a push/pull lever that requires some proper muscle when shifting up or down the ratio range. Behind the wheel, the R5 feels similar to a WRC car with peak power available over a wider rev range, while maximum engine speed increases to 7500rpm. At full tilt, this thing makes for more of a racquet. It definitely feels more potent with quicker throttle response, but after a few laps, you start to savour the extra grunt and the fact that you think your shifting as quickly as Loeb (who am I kidding). 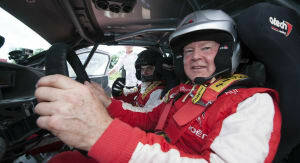 I’m happy to admit I’ve never had a steer or ride in a full-blown WRC rally car – it’s too hard and too damn scary. 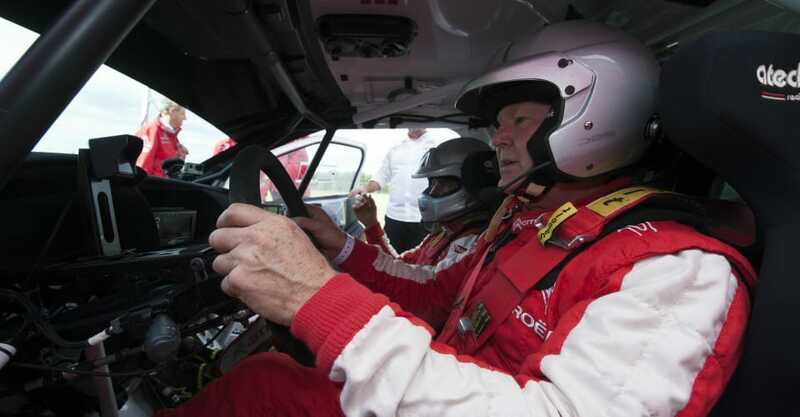 But what would a Citroen Racing Experience be without a passenger ride on a gravel track with Citroen WRC pilot, Mads Ostberg, of Finland? Mads is smiling, after all, this is his office, and he’s very good at what he does. I’m pretending to smile, but underneath I’m petrified, and with good cause. 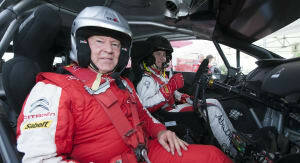 He’s stopped smiling and the engine is screaming its head off, before he does a full-blown stage start. 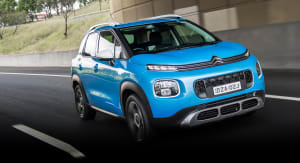 I’m not supposed to use expletives, but f… me, this guy is certifiable; we must be doing 180km/h and he’s threading this Citroen through trees with trunks the size of a truck with only millimetres to spare either side. He’s not backing off, either; in fact he’s flatfooting towards a serious looking jump at 160km/h and my life flashes before me. I can’t look, this could be the end, ‘One, two, three, four, and we still haven’t landed back on terra firma.